FightinPhillies: Your blog is part of the BBA, Baseball Bloggers Alliance as is the FightinPhillies blog. How did you get into blogging about the NY Mets, and tell us a little about you. My name is Kerel Cooper and I am the owner and operator of OnTheBlack.com. I began OnTheBlack in September of 2008 as a way to give myself the opportunity to voice my opinions about the team I love, the New York Mets. Over time the site has evolved into a video blog. 90% of the posts are video and the other 10% are written posts such as things around Mets Team News, Game Recaps, Interviews or Photos. My long term goal is to create a daily web show that is all about the New York Mets. 2. The Mets have had some pretty horrible seasons in the past three years, do they turn it around this year? How does this season differ from the last few? I picked the Mets to finish third in the division in my pre-season predictions. Of course I hope my prediction is wrong. I think as long as they can pitch well, they have a chance to compete. So far they are pitching well and that has translated into wins lately. It's a long season and anything can happen, but so far I can say that I do like the 2010 version of the New York Mets. This weekends match-up against the Phillies will be a good test to see where the Mets are. 3. How do you compare baseball at Citi Field with Shea? Does Citi Field have it's own natural feel as the new home of the Mets? Are ticket prices becoming more affordable than they were originally priced there? Shea will always be "home" because there are so many memories I have in that park from all the games I've been to. At the same time Citi Field is a wonderful place to watch a game and enjoy a nice summer afternoon. With any new thing, it takes some time to get use to it and you have to "break it in". I think the Mets organization did a fantastic job over the off season by adding elements to the park that make it feel more like "home". You can see some pics I took at opening day from around the park here or you can view some of my pics from the Mets Hall of Fame here. The ticket prices haven't changes enough for me. Back at Shea I use to get a ticket plan but I have not done so at Citi Field. Partly because the team hasn't been good and partly because the prices are too expensive for my taste. Now don't get me wrong, I still go to a few games throughout the year but I prefer to buy single game tickets at this time. 4. Who is the current best player on the Mets, and how does he lead this team into the playoffs this year? The Mets have a lot of talented players but if I have to pick one I would say that Jose Reyes is the best player on the Mets. Reyes has so much talent and can impact the game in many different ways (his arm, defensive range, speed, bat). Although I'm not a big fan of this, I do understand why Reyes is currently batting third in the lineup. This is just one example of how talented Reyes is. He's been a leadoff hitter his entire career but now the team is asking him to be a run producer out of necessity. I think his enthusiasm and confidence resonates with the rest of the team and will help carry them this season. 5. Omar Minaya has had several years to prove his worth as GM, he's come up horrible in the time he's been in charge. Should he lose his job anytime soon?, and what's your thoughts on Jerry Manuel? On Omar: On one hand he's done a great job of bringing in the big name player during his time here (Pedro Martinez, Carlos Beltran, Carlos Delgado, Billy Wagner, Francisco Rodriquez, Jason Bay, etc..). The flip side of that, Omar has been bad at: 1) contract management (example Luis Castillo) 2) bringing in mid-low tier players (example Mike Jacobs) and off the field team PR (example Carlos Beltran surgery and the Tony Bernazard issue). The bottom line in the time he's been the Mets GM the team has had one play-off appearance, two season ending collapses and a string of off the field embarrassing moments. I personally think he's at the end of the line and if the team doesn't produce this season he should be gone. On Manuel: While he's made some in game decisions that have made me scratch my head, I really don't think he's been that bad. You know the players also have to accept some responsibility as well. I do believe however that if the team doesn't perform this season, Manuel will be out along with Omar. The Phillies looked like they would be swept, they trailed most of the game against Tim Lincecum and looked like they were well on their way to losing this game and series until the top of the 9th inning. It doesn’t happen too often, but in the top of the ninth the Phillies had the bases loaded with Jayson Werth at the plate. Werth half swung a ball and it sailed into the bright San Francisco air and landed just fair down the right field line. A fan, who was wearing red, almost interfered with the ball, he stuck his hand out to grab the ball, but somehow the ball avoided that and clunked off the wall allowing all the runners on base to score and the Phillies to tie the game. 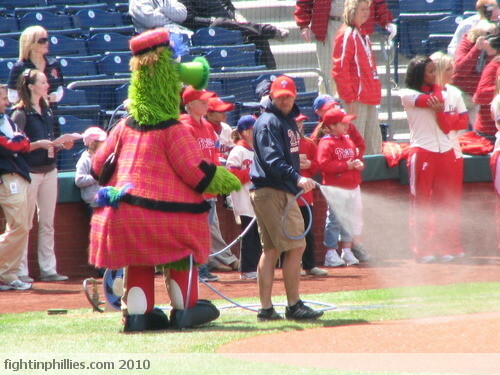 Maybe this is what the Phillies needed to give them some spark. The road trip was about to end miserably, but with this dramatic win, perhaps this will be the turning point to get the team back on the positive side of things. Cole Hamels pitched well, he kept his team in this game. Again, Hamels will come up without a win but a solid outing nonetheless. This is the way Hamels starts have been going, he doesn’t get run support and then the team rallies back and gets wins without him on the mound, or he just doesn’t get the job done and gets the loss or the rare occasion when the team does well with the bats, and he gets a win. That is part of being on a team, the contributions he is making is not always told in the wins and loss column. A day off on Thursday and then it’s hot tropical weather for the weekend in the Philadelphia area, with forecasts in the mid 80’s for this weekend’s series with the Mets. The first place Mets, I might add. Tomorrow we’ll hear from a NY Mets blogger as I as him 5 questions and see what he thinks is happening with the Mets. Listen to this week's show where we talk about Howard's new mega deal, and how we think the team is doing into the first month of play. All this and more on the latest edition of 'Phillies Talk'. We are on iTunes in the podcasts section, so start subscribing to the show and take us along for the ride. 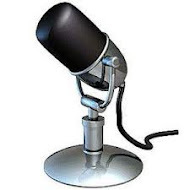 We also have the longest running independent Phillies internet radio/podcast in the market. Jamie Moyer takes the mound tonight for the Phillies in San Francisco. He looks to keep the Phillies from losing the series and staying one step ahead of the Florida Marlins and the New York Mets who are just behind the Phillies at 11-9. The Phillies bring their 11-8 record against a resurgent Giants team who are also at 11-8 on the season so far. San Francisco is tied with the San Diego Padres who are looking like a better team already into the early part of the season in 2010. The sputtering offense did just that for the Phillies last night. The team couldn’t produce any more than 1 run last night and it led to Roy Halladay’s first loss in the Phillies pinstripes. Halladay still leads the starting pitching staff with a 4-1 record with a 1.80 ERA for the team. Moyer brings his 2-1 with a 5.00 ERA record into tonight’s game. The Phillies will face Todd Wellemeyer, who has an 0-3 record with an 8.16 ERA for the San Francisco Giants. This is the 11th home game for the Giants this year. Despite Wellemeyer’s ERA, the Giants have the best ERA of the MLB with a 2.68 ERA average for starting pitching. Tomorrow’s game with Tim Lincecum pitching for the Giants is not a sellout and the Giants are offering some half price tickets to fill the stands for the afternoon matchup against Cole Hamels and the Phillies on Wednesday at 3:45 PM Philadelphia time. April 27th, 2003 was the last time a Phillies pitcher pitched a no hitter. The difference between a ‘no hitter’ and a ‘perfect game’ is that in the perfect game, no batter reaches any base during the course of the game. The last no hitter game by the Phillies was thrown by Kevin Millwood just into the last season at Veteran’s Stadium which now was quite some time ago in 2003. The rare ‘perfect game’ has been thrown by a Phillies pitcher, on June 21, 1964 by Jim Bunning. This is the only time in over 19000 games that the Phillies have played that a ‘perfect game’ was pitched. The Phillies team in 2003 was a very different team, Larry Bowa was still the manager in April 2003, and the Phillies big hitter was Jim Thome. It was the last year that we would see baseball played in the big bowled stadium of Veteran’s Stadium. There was so much talk about the new stadium and the chances of becoming more successful there. Of course how could people have predicted the success that the Phillies have had in just the last couple of seasons. Millwood is still pitching in the MLB, he’s with the Baltimore Orioles this season. Kevin pitched for the Phillies in 2003 and 2004 and has a 23-18 record as a Phillies pitcher. He had 5 CG and 3 shutouts for the Phils during his first year with the Phils. The Phillies made a totally surprising announcement that they have extended Ryan Howard’s contract for 5 years at a stunning $125 Million dollars late in the afternoon on Monday in San Francisco. The Phillies face the San Francisco Giants at 7:05 Pacific time tonight and have Roy Halladay on the mound for them tonight. The contract ensures that Howard will be in Phillies pinstripes for most of his career, and gives him a financially secure future with this extension. Ryan Howard is a homegrown Phillies talent, and he only knows the Phillies organization which has been said is one of the best in baseball. The decision to sign for him was probably a simple one. Ryan may follow Schmidt in playing for this city for his whole career and is that such a bad thing? Reaction to the news has been surprise to most. A lot of baseball media pundits are questioning the amount of the contract and the number of years but one thing is for sure and that is that it is done and the Phillies and Ryan Howard can now both go about their business not having to worry about contract issues with him for some time. The most surprising aspect of this signing has to be the timing of it. It’s almost like the Phillies dangled the bait out there and Howard bit at it, hook, line and sinker. The Phillies had said when they traded Cliff Lee that they were at salary max, so this splash of cash has a lot of people wondering where it all suddenly came from for 5 plus years into the future. I have to give the Phillies credit on this, they are still looking forward to the future when they could have had some sort of fire sale and sold off a lot of their star players after the back to back appearance in the World Series in 2008 and 2009. Ruben Amaro is not letting grass grow under his feet, he is making more and more bold decisions. Ryan Howard was in the Phillies organization long before Amaro was named GM, but it is now up to him to decide if Ryan stays or goes and with this move it insured that Ryan remains a Phillies for some years to come. Where does this leave the rest of the team? Time will tell as several players including Werth, and others have their contracts up for negotiations. To me it will depend on how well the Phillies continue to do. If they can sustain this run of playoff and pennant wins, they will be controlling more of the movers and shakers of baseball. If they come up short and fans lose interest in supporting the team, it could go the other way really quick. This is still a business and the Phillies are able to support a better product to offer to the fans. Recession?, I don't think the Phillies have even thought of the word as the continue to spend a lot of money on the team. The Phillies past two weeks have been a tale of two teams. 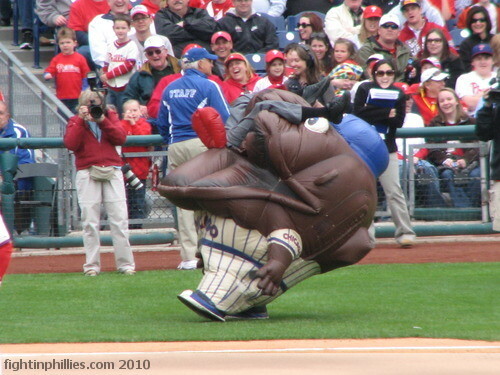 The Phils started off the season 5-1 as of April 11th. The team seemed like it was off to one of the greatest April’s ever. In the modern era of Phillies history, the 1993 team had the best month of any Phillies team ever with 17 wins and 5 losses. The current Phillies record after last night’s win is 11-6 and the team is 8-3 on the road after going 3-3 on their recent home stand. The Phils are 5-5 in their last 10 games. 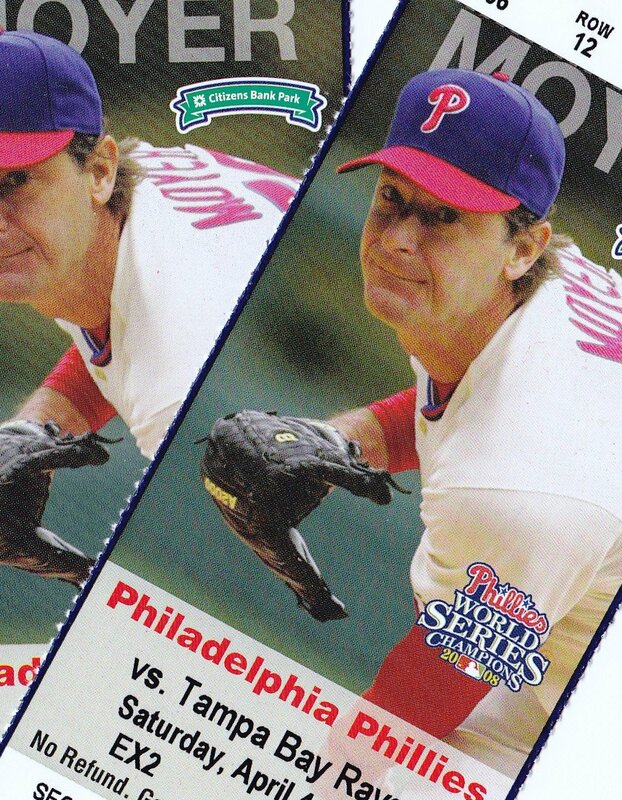 The Phillies also posted a 15-12 April in 2008, when they eventually won the World Series later in the year. This afternoon, the Phillies look to win the series today with Kyle Kendrick on the mound. Kyle is hoping to build from the strong outing he had in his last start that should have been a win for him. The Phils will face a tough Rodrigo Lopez for the Diamondbacks today. Lopez really did well for the Phillies last year and I was surprised the Phillies couldn’t come to terms with him for this season. Jayson Werth snapped the home run drought the Phillies had for a while last night with his two homers on the night. Jayson needs only 4 more HR to total 100 for his career. Halladay will pitch on Monday in SF, Moyer on Tuesday, and the marquee matchup of the trip is Hamels vs. Lincecum, on Wednesday afternoon with a rare 12:45 PM local San Francisco start time. Jim Mulry is dismayed at all the injuries starting to plague the Phillies. How will the Phillies fare out west in Arizona and then San Francisco? Could there be a Lincecum/Halladay matchup? We talk all about that and Cole Hamels last start at home on Sunday. Listen to this show and see why a lot of listeners have listened for years. The game was in Roy Halladay’s hands on Wednesday night, the game time of tonight’s game was only one minute less than last night at 2 hours and 28 minutes, but this time the Phillies ended up on the winning side by a score of 2-0. The old cliche of ‘ace’ being tagged on Halladay now doesn’t seem like it is enough for him. Every five days Doc Halladay goes out there and gives the Phillies their best chance to win a ballgame. The defense came to the aid of Halladay tonight, without Shane Victorino’s great catch in center off of Troy Glaus, the game might have been different for both the Phils and Halladay. Roy’s feat of going 4-0 and a .082 in the first four games in a Phillies uniform may seem superhuman and indeed it is, however, Cliff Lee did the exact same numbers for the Phillies last year according to a tweet by Todd Zolecki, sports writer that covers the Phils for the MLB. One may wonder if we may have the Cy Young Award winner on our team this year as Halladay is well on his way to be in the running for such an award. The season is a long one though, and I’m sure we’ll see some great pitching from a lot of the top pitchers around the league. Doc’s next game should be in San Francisco on Monday, April 26th. His opponent should be Todd Wellemeyer for the Giants. The Phillies will probably face Tim Lincecum on Wednesday in San Francisco for a 3:45PM game local Philadelphia time on the 28th of April. Atlanta- A double digit ERA is never good. Kyle Kendrick had a double digit ERA heading into the game last night with Atlanta. He knocked the near 18.00 ERA to an under 8.00 ERA in just one outing and along the way got down to better pitching, though he couldn’t get credited with the win tonight down in Atlanta. Kendrick lasted the bottom of the 8th inning in this strong showing. Fast forward to the bottom of the 9th. Ryan Madson had been stellar up to this point in the season, but he got his first blown save of the season after giving up some long balls to the Braves. He started the bottom of the 9th inning up 3-0 and then he ran into trouble. Mad Dog gave up a home run to Troy Glaus which also scored Chipper Jones who started off with a walk, then young phenom Jason Heyward homered to deep right center, tying the game for the Braves. The Phils seemed to handle the resurgent Atlanta Braves team well until the implosion by Madson in the bottom of the 9th. The ballgame was lost in the 10th with a homerun by a guy who has been pretty quiet for the Braves so far, Nate McLouth. Jose Contreras was the losing pitcher for the Phils, as he gave up the long ball to end the game. This loss was a particularly tough one for the Phillies and Kendrick who should have had his first victory of the season. Kendrick lasted just 1.2 innings the last time he pitched against the Washington Nationals when he gave up 6 runs on 6 hits back on April 14th. Tonight it will be Roy Halladay for the Phillies. He’ll take his 3-0 record into the game and be matched up against Tim Hudson, who is 1-0 with a 2.84 ERA for the Braves. This game will be on ESPN as their Wednesday Night Baseball game. The Phillies had a rough time with the Florida Marlins at home in Philly, now they start on a road trip that first takes them right into the heart of dixie, Atlanta. We got together with the Atlanta Braves blog called Tomahawk Talk. The blog is run by Scott Humphries, and we thought it would be fun to each exchange questions from one another’s blogs to see what is happening with each blog’s team. Here is 5 questions FightinPhillies blog posed to Scott about the Braves. 1. What is the most significant move the Braves made this year and how do you think it will help the Braves this season? I think the Braves have actually done two things that could pay off in a big way - acquiring Troy Glaus and giving Jason Heyward the starting job in right field. Those two things should make the Braves' offense a lot better. If he stays healthy, Glaus gives the Braves the right-handed power bat that they have lacked in recent years and I think Heyward will have an outstanding rookie season. 2. How many wins do you think the Braves will have this year and do they have the chance at making the playoffs? Well, the Braves won 86 games in 2009 and I think they're going to be better this season than they were last year. I see them winning 88-92 games, and while beating your two-time defending NL champion Phillies is probably a long shot, I think the Braves have a good shot at winning the wild-card race this year. 3. Chipper Jones has said that this may be his last year, do you think it will be and what will his legacy to the Braves be best known for? I think it all depends on what kind of year Chipper has. If he has another frustrating, injury-plagued season like he had last year, he may call it quits, but I can see him playing in 2011 and even 2012 if he has a nice bounce-back season this year. I think he'll ultimately be known and remembered for the high-quality of his play and his consistent excellence over the long-term. Chipper is a certain Hall of Famer and probably one of the top 3-4 switch-hitters in baseball history. 4. Attendance is down last year for the Braves, are the fans still interested in Braves baseball? Oh, definitely - Atlanta fans are excited about the potential that this year's Braves team has. I think fan enthusiasm declined a bit from 2006-2009 (third-place finishes tend to have that effect) following the Braves' great run of 14 straight division titles from 1991-2005, but Braves fans are back with a vengeance this year. They're excited! 5. What do you think the Braves need in order to start rebuilding to the point of contending in the NL East again? Well, your Phillies are playing at a very high level these days and figure to be even better with the addition of Roy Halladay, so reclaiming the top spot in the NL East is definitely a tall order, but the arrival of Jason Heyward, the continued development of Tommy Hanson, the return of Tim Hudson, and the acquisitions of Troy Glaus and Billy Wagner give the Braves a shot at contending. So there you have a good look at what is happening down in Atlanta. They have a young phenom that just won a game by getting the game winning hit for the Braves named Jason Heyward. The Phillies got off to a great start in the first 8 games of the season, but they have slipped in the first home stand in Philadelphia. Tonight they are in Atlanta to play the upstart Braves. Philadelphia- Cole Hamels suffered from this last year, and again now in 2010, the lack of run support has ruined the good pitching day Cole had on the mound on Sunday at Citizens Bank Park. It was the first Sunday home game for the Phillies, and the offense failed to fire off as they have done previously for the Sunday season ticket holders and others that comprised the over 45,000 that were at the ballpark. Hamels kept the Phillies into this game, and only scattered a few hits around during the game, one of which was a solo home run by Dan Uggla. That single home run would end up being all the Marlins needed to win on Sunday, though they added another run to make it a 2-0 final score. The Phils briefly looked as if they were going to break up the scoring drought, but they couldn’t bring a run home and the day was a long one that ended in a loss after the 2 hour and 29 minute game. We’ve seen a lot of droughts at home last year by the Phillies and I am wondering how this keeps happening? Is there more to this or is the lack of hits and scoring just an anomaly at home? Whatever the case, the season moves on and the Phils have the day off on Monday, but head down into dixie and the Atlanta Braves on Tuesday night. 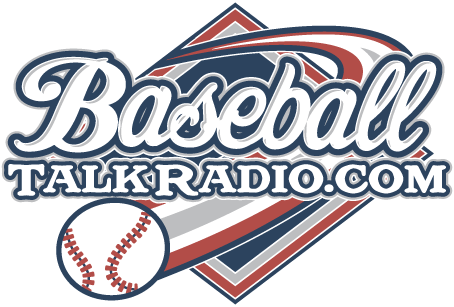 We’ll have a cool interview with Scott Humphries from TomahawkTalk.com which is an Atlanta Braves blog. 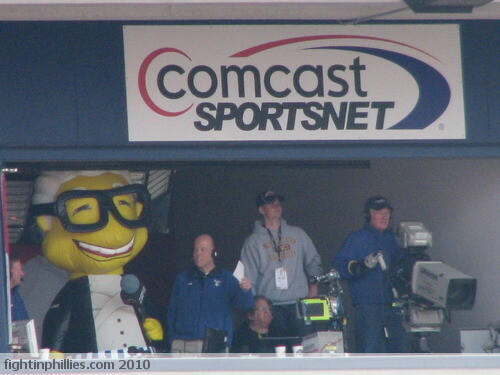 and a couple more like the Cubs mascot of Harry Cary singing take me out to the ballgame from the TV booth? The Phillies opening home stand will end after the game today and Cole Hamels will be starting his second home start of the early season. Just the night before, Jamie Moyer got tagged for 5 early runs in the first inning, and that would be enough for the Marlins to win the game as the offense couldn’t respond. The Marlins team looks like it did a couple seasons ago, and if they can keep their groove going, they may contend late in the season as they have a lot to be hopeful for. The Marlins are now 7-5 on the season and in second place, the Phillies are just now above them at 8-3. Jorge Cantu has been a big reason the Marlins are doing as well as they are so far, Cantu has 16 RBI through the first 12 games for the fish. The Marlins also signed Josh Johnson in the offseason to a multi-year deal. The Phillies will face the Marlins in six series this year, this is the first. Last year the teams split the season series 9-9 and the Marlins somehow owned the Phillies at Philadelphia beating the Fightins 7 games to 2 at Citizens Bank Park. Hamels looks to improve upon his 2-0 record this afternoon at 1:30 PM vs. Nate Robertson of the Marlins. Philadelphia- It seemed like this day would never come from the time that the Phillies announced that they have signed Roy Halladay and traded Cliff Lee away to the time when Roy Halladay would get his first chance to pitch in front of the home town fans. Fast forward through several snowstorms, months of waiting and just like that, tonight was that night that we all got to see Roy pitch at home in Philly. The weather didn’t want to cooperate, it’s been rainy and windy in the late afternoon, but just in time for game time, at 7:05 PM it had become clear enough to start up the game. The Phillies offense showed it usual power last night, with Utley and Polonco going deep for the Phillies. By the end of the game, the Phillies were cruising to a comfortable victory for Doc Halladay when Charlie Manuel made the change to bring in the bullpen to finish the job. David Herndon was brought in and gave up 4 runs to the heart of the Marlins lineup in the top of the 9th inning, putting a little scare into the crowd that the Phils would end up like last night courtesy of the bullpen. Ryan Madson then came into the game to get the last two outs and the save in this game that looked out of reach only the inning before for the Marlins. The Phils win 8-6 and Halladay goes to 3-0 on the season. The sweep was a possibility just like it was possible in Washington only days ago. The exact scenario was played out again as it was in Washington 7 days ago. Baez was victimized in Philly on Thursday late afternoon as the Phillies bullpen blew up and cost the Phils a victory and a sweep today of the Nationals by a score of 7-5. Last week in Washington it was Figueroa, that got the loss and cost the Phils a sweep in DC. If you look on ESPN’s player page of Danys Baez, it says that the projection is for him to have 18 losses this season. Baez is on his way to that total now, in this young season he has 1 loss and 1 blown save. Remember this is only the third series of a full 22 week season that we have to go with now 21 more weeks to go. The weakest link to this team has just started to show itself. It is the bullpen, and it may cost us game after game. Starting pitching is a concern but this can work itself out, but my main concern with this team is the assorted ‘hands’ that Ruben Amaro has stocked the bullpen with. This in fact could lead to the Phillies going straight down the drain as the season wears on, and the added personnel start to get overworked and hit by the opposing teams. Something I’ve always talked about at FightinPhillies.com is also the respect factor in facing a hitter. Rarely, a hitter is walked to set something else up when it should be done. This is the manager’s job to do these kind of things and Charlie just doesn’t consider these things. He just pitches away to every hitter regardless of their hitting status. 7-2 can be a great place to be, but with the Marlins coming to town, I think the Phils need to buckle down and learn for this one. They looked like some of the Phillies teams of old that couldn’t hold a lead. Every 5th Day is a Halladay and that is what we have tonight! 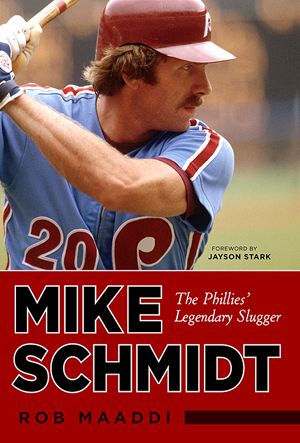 We're talking Phillies baseball with Rob Maaddi and we also talk about Rob's new book from Triumph Books: "Mike Schmidt, The Legendary Phillies' Slugger"
The Opening Night game is tonight @ 7:05 PM at Citizens Bank Park as the Phillies look to build on their 6-1 record. A possible key injury to Jimmy Rollins surfaced at game time on Opening Day as Rollins, who was on the field for batting practice, had a calf muscle pull that scratched him from the lineup for the opener at home. The Phillies will announce the results of an MRI on Rollins today, I suspect at least a 10 or 14 day stay on the DL for Jimmy, but he needs to try to heal this injury to get him back to good health again. We’ll see what is official with this after it is announced. Kyle Kendrick will get the ball for the Phils again for his second start of the season. He’ll look to improve his 11.25 ERA in his debut in Philadelphia tonight. The Washington Nationals record stands at 3-4 going into this game, they put up a fight in the first game of this series early, but faltered into the middle and end of the game. We’ll be interviewing Rob Maadi from Associated Press and his new book about “Mike Schmidt: The Phillies’ Legendary Slugger” on ‘Phillies Talk – weekly’ tonight at 7:30PM – listen to the show or download it later right here on FightinPhillies.com! He’s played for one team for 18 years, been an All Star, MVP, World Series winner, and Hall of Famer. He’s Mike Schmidt, a player that Phillies fans will remember for some time to come. We’ll talk about his legacy, impact, and status as one of the best Philadelphia Phillies to ever step foot on the field. The home opener left every Phillies fan happy as they left the ballpark after a brief scare on Monday afternoon at the ballpark. The Washington Nationals started off hitting Cole Hamels briefly and this led to a 4-0 lead for them at the end of the top half of the 4th inning. Josh Willingham smashed a home run into the left field seats in the 2nd inning, and started the Washington Nationals on a brief rally when into the 4th inning, Hamels walked a couple of batters and the Nats scored three. The Phils answered back with 2 runs in the bottom of the 4th to cut the lead in half. The Phils then went back out in the next inning and put up 5 runs in the bottom of the 5th culminating with a Chase Utley home run, and the Phils never looked back at the Nats for the first home opener win since 2005, and one of the best starts ever that the team has ever had. Cole Hamels day was a tale of two pitchers really. He gave up 4 earned runs, struck out 6, and gave up 1 home run. His ERA stands at 5.06 as the Phillies offense came back to rescue him in this game. Not a really outstanding outing by Cole but enough to push his record to 2-0. Roy Halladay was named NL Player of the Week by the MLB. Halladay last won this ‘Player of the Week’ award last year when he was with Toronto. In 2009, he won during the week of May 11-17 for the AL Player of the Week. The 2009 Pennant was also raised in a pre-game ceremony today at the ballpark. This is getting to be nice, there was a time when Phillies fans could only dream of this happening to the team and now it seems like it’s never ending. We’re in a baseball dynasty in Philly and if the Phillies win the divison and pennant this year, I think you could say that this is the greatest moments in time for the team ever. The season is a long one though, and we’ll see what happens as the season unfolds. Things are going about as well as they can be for the Phillies so far in this season. The team really hasn’t faced any quality teams yet though, and this all starts to change after the series with Washington that resumes on Wednesday night for the home night opener at 7:05 pm. The next few teams the Phillies will face are Florida at home, and Atlanta, and Arizona both on the road. The Phillies then go out to San Francisco to face the red hot Giants who are doing very well this year so far. The bullpen really hasn’t been tested all that much yet with a quality opponent, so for now we are enjoying the results we’ve seen from the ‘pen. Starting pitching has been very good with Halladay and Hamels and speculation is that they may chase each other towards 20 wins each if the offense keeps firing away as it did today and in previous games. The home opener is something that Phillies fans have waited for since the loss in the World Series in Game 6 last season. Phillies fans camped over night to get their chance to see the team if tickets go on sale at the ballpark. You can buy tickets at stubhub.com if you're still looking to go without having to spend the night on the sidewalk like many fans did last night. There are many tickets available on stubhub at prices you would consider somewhat of a bargain compared with some previous home openers. This is the first time in many years that the Phillies opened the season on the road instead of being at home when the first game of the season got underway. Last year, the Phillies opened at home and dropped the first two games to Atlanta. The Phils also lost the first two games at home in 2008, the year they won the World Series. The Phils also lost the first three games in 2007 when they lost the opening series to Atlanta. It is awesome that they are 5-1 so far this season as they open at home in 2010. The last time the Phillies opened the season on the road was 2004 when they were managed by Larry Bowa. The 128th season for the Phillies is about to get underway in Philadelphia with Cole Hamels on the mound. Festivities at the stadium kick off at noon, and then the first pitch should be thrown at 3:07 PM. Check out the new, "News Feeds" section of the blog for more stories on Opening Day. The Phillies went into today's game with the knowledge that they were facing the best Astros pitcher that they've seen so far. Roy Oswalt did not disappoint. He kept his Astros team close, but it was the pitching of the Phillies pitcher named Roy that kept the Phillies on top in this classic pitcher's duel. 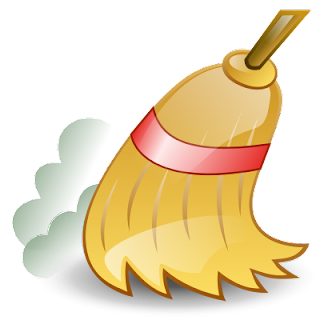 The Phillies earned they first sweep of the season vs. Houston with the 2-1 win today. Not too much offense by the Phils in the win, but it was good enough to earn the sweep. Jimmy Rollins led off the game with a home run. In the second inning, Raul Ibanez scored from third on a Carlos Ruiz ground out to Pedro Feliz at third, after Pedro made the only play he could and threw the ball to first base for the out. One of the things that I noticed while watching some of the games was how bad Pedro Feliz looked against his old team. He played first base, and chased a pop foul that he couldn't grab, and he got thrown out at second base on a strikeout, throw out double play by the Phils on Sunday. Halladay goes to 2-0 in his quest for 20 or more wins as many have predicted. He had 8 strikeouts and his ERA is .056 so far this season. The Phillies pulled out all the cannons last night in Houston and stayed with Jamie Moyer who hung on to win the exciting back and forth offensive struggle last night. The Phillies looked to be cruising along last night when the Astros came roaring back tying the game 4-4 and then going ahead 5-4 f in the bottom of the third inning. The Phils would respond back in 7th with 3 runs on a Ryan Howard 2 run HR, and a Shane Victorino RBI single. The final was 9-6 as the Phillies start off the season 4-1 for one of the best starts they've had early since 1993 when the Phillies went 8-2 in the first ten games of the season. The Phillies looked awesome in their 1965 uniforms in the 'Turn Back The Clock' promo that saw both teams wear their old uniforms. I really loved that Phillies hat from back then with the white beanie on top, it really sets the hat off. Roy Halladay will pitch today for the Phillies. He's working on his 1-0 record and 1.29 ERA, isn't it great to be a Phillies fan now? Halladay has commented on the time he has had with the Phillies so far, "It's been fun for me," said Halladay, who was acquired from the Blue Jays in December and is one victory shy of 150. "Nothing against Toronto, but it kind of gives you renewed energy coming over here. It's a team that wants to win and can win." The home opener will be Monday in Philadelphia and it'll be Cole Hamels pitching for the Phillies vs. the Washington Nationals and Jason Marquis. The game will start at 3:05 PM, but the festivities will begin at 2:00 PM so if you have tickets, get there early! The Phillies came to Houston to play in game one of the series with the Astros and J.A. Happ looked pretty sharp in his debut. The offense was firing away last night also, with Placido Polonco again displaying an offensive might. The Phils offense pounded out 16 hits on the night, Polonco had 4 by himself. The game tonight is 7:05 PM and Jamie Moyer will get his first start of the season tonight. Some familiar faces are on the Astros, Michael Bourn, Pedro Feliz, and Brett Myers among them. The Astros have been out of the gate with a terrible start, they are winless so I expect them to pull out all of the stops tonight as they need a win. The Phillies could not sweep the Washington Nationals on Thursday night but they still leave the opening series with the Nationals with a 2-1 record and now head to Houston to face the pesky Astros. What does leaving 14 runners on base lead to? Most of the time not a win and that’s what happened to the Phillies on Thursday in the Nation’s Capital with the Fightins’ first loss of the 2010 season. This combined with some rough pitching of the debut of Kyle Kendrick led to the loss which the Phillies tried to make a comeback late in the game but it was too little and too late. On Thursday night, we recorded a special edition of the ‘Phillies Talk Podcast’ with noted Phillies historian and author of many Phillies books, Mr. Rich Westcott. Rich’s latest two books are in book stores and online at your favorite book sellers. One is called ‘Philadelphia Phillies: Past and Present’, and the other “Back Again – The Story of the 2009 Phillies.” We talk with Rich about those two fine baseball books and a whole lot more. 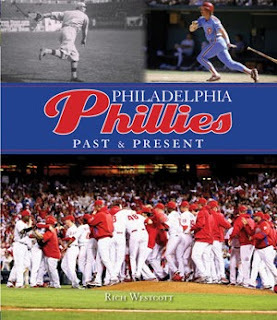 Our FightinPhillies.com winner of Rich’s latest book is Sherry W – she will pick up the latest hardcover edition of “Philadelphia Phillies: Past and Present” by Rich Westcott. President Obama throws out the first pitch, he threw it high and wide but at least he didn't bounce it! By Rich Baxter - FightinPhillies.com Washington- The Phillies looked hungry this afternoon, a dramatic difference from the way they finished in the World Series in 2009. The team embarked on an offensive juggernaut that was started by Jimmy Rollins who was hungry to score on a first inning miscue by the Nationals. Jimmy was thrown out at the plate, but this set the tone for the Phillies offense for the day. By the end of the day, the Phils would bombard the Nationals with 11 runs after the Nationals jumped out to an early 1-0 lead off of the Phillies. Roy Halladay mowed the Nats down at will with 9 strikeouts and allowing only one run on the day for his first win in a Phillies uniform that counts in the stats. Placido Polonco left no doubt that he was back in the Phillies fold, going 3-5 with a grand slam and putting up 6 RBI on the day. Ryan Howard got in on the feeding frenzy, recording his first homerun of the year. Roy Halladay, the new Phillies ace, compared the feeling of starting this game off with the Phillies to other Opening Day games he’s started with the Nationals. "It was a lot different," said Halladay, whose seven previous opening day starts came with the Toronto Blue Jays before being traded to the Phillies. "It's been fun for me. Nothing against Toronto, but it kind of gives you renewed energy coming over here. It's a team that wants to win and can win." What a way for the Phillies to open the season, as they have had problems in the past with Opening Days but they didn’t have a guy named Halladay on the team back then. It was a great day for baseball, and a great day for Phillies fans today. Cole Hamels will continue the 1-2 punch in the rotation on Wednesday night @ 7:05 Eastern, for the Phillies as they again face the Nationals in Washington DC. The Phillies will try to make it 4 division titles in a row in this dynasty that they have started in the NL East starting today in Washington DC. They have appeared in back to back World Series in 2008 and 2009, to the Phillies fan of today that is just normal business for the team now. It wasn't always that way though. The drought the team had from 1980 to 2008 was a long one, with brief glimpses of hope sprinkled in from a World Series appearance by the team in 1983, and then in 1993, which both ended in losses, the Phillies other than these two years have been not what we see on the field today. The long term Phillies fan has to be looking at each season with a optimistic but cautious outlook with what they have had to endure over the years. Roy Halladay is the reason that the Phillies will either stay at the top of the division or float back down to earth this year. All indications point to the first scenario, but the season is a long one, and just like the recent injury to Joe Blanton, you never know what the baseball gods have in store for you in the long haul. One thing is for sure though, the Phillies will have suppport from the fan base, there have been over 3 million tickets sold before the first pitch this season, and this year it will be tough to find seats to any home game. If you remember, Cole Hamels was supposed to be the opening day starter last season, but due to a slight injury, Brett Myers started his third opening day in a row for the team. For the Phillies team, the pitcher with the most starts on Opening Day is Steve Carlton with 14, and Robin Roberts with 12. The last 5 seasons have seen the Phillies open the season up at home, but this year they open up on the road in Washington, DC. President Obama will throw out the first ceremonial pitch, and then the Phillies '10 season will be underway. They should have an easy time of the Nationals today, and if I was in Vegas, I would have to put some money on the Fightins to win, even though they don't normally start off winning on Opening Day. In the last 10 years, the Phillies have won only 3 games on Opening Day. We'll see if they can improve on this today in DC. Will Hamels dazzle again this season? Philadelphia-The Phillies won their last tune up game in Philadelphia this afternoon, and finished the Spring Training schedule at 15-12. I don't read into this too much, they know what they have to do in the regular season and that season starts Monday in Washington DC, with the opening pitch to be thrown out by President Obama. Las Vegas still has the Phillies at 6-1 odds, which means if you put a $100 down on them, it would pay you back $600 on a winning wager. Of course the Yankees remain the odds on favorite to repeat, and Boston is not too far behind the Yanks to claim the second best odds at winning it all in 2010. In two days, the Phillies attracted over 84,000 fans to the ballpark, when previously they couldn't draw that well for a "On Deck" game. It didn't count at all, but the fans were supporting the team in large numbers in anticipation for the season to begin. I still think the Phillies should have expanded CBP by a few thousand seats with a redesign to the park, all this lost revenue is adding up because of having no plans for expansion. It's a story that will be written many times this upcoming 2010 season, 'the Phillies offense powered by Ryan Howard and Chase Utley last night to propel the Phils to victory'. This game counts in the Spring Training even though it was at Citizens Bank Park. Today is another game at 1:05pm, this one will count for Spring Training also. The Phillies wore their all red Spring Training jerseys last night, and the Pirates wore their all black training jerseys. It was good to have baseball back, in the Philly region. This winter was one that many of us will not forget with all of the terrible weather we had in the area. Chase Utley went 3-3 for the Phillies last night including a home run, and Ryan Howard also hit a long ball to give the Phillies the Spring Training victory. "Play Ball" - the boys of summer are back tonight at CBP, they will face the pesky Pittsburgh Pirates @ 7:05pm. Get there early as there is a hockey game at the Wachovia Center at the same time. The Phillies finished one game better than .500 in Spring Training, going 13-12. It's baseball time again! Phillies Talk - the podcast: "Phillies break camp from Spring Training 2010"
Join us for tonight's show - the Phillies break camp and head towards Philadelphia for the start of the new season. Be sure to join us next week Wednesday April 7th, 2010 at Borders Books and Music in Mays Landing, NJ @ 7:30 PM for our interview via Skype with Phillies historian and author Rich Westcott. You can see how we do the show when we are live on location!